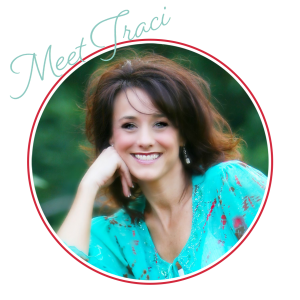 Hello, from Franklin, Tennessee! I’m down here for a few days with Jonathan and writing my post from Frothy Monkey coffee shop. 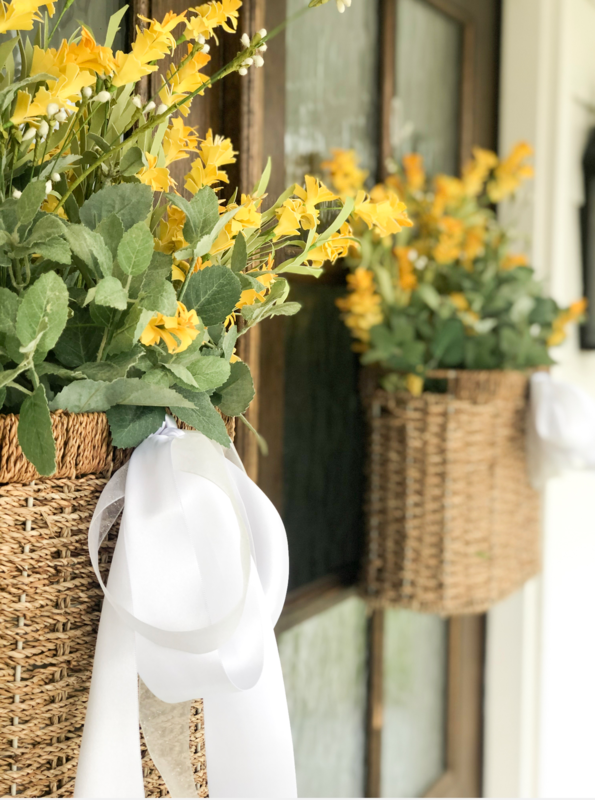 Before I left home yesterday, I snapped some pictures of the spring flower baskets I put together for our front porch doors. Well, I thought...”Why not leave them up in the spring as well!” So I left the white ribbon on them and just changed out the florals. Those were on sale for about $2 a piece, and I used 7 or 8 per baskets. Lastly, I bought one stem each of the little white buds and added them to the middle of each basket. And then I called it a day! haha! 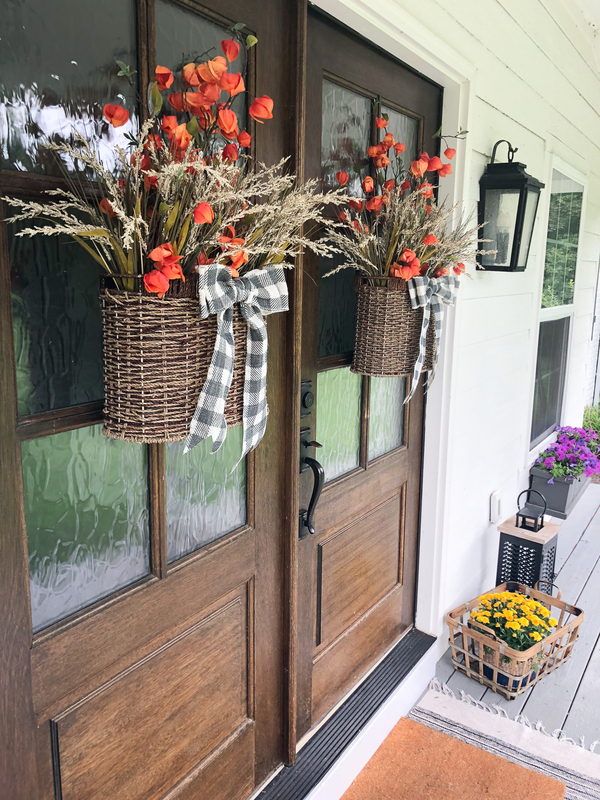 So easy, but definitely makes a beautiful impact on our front porch. 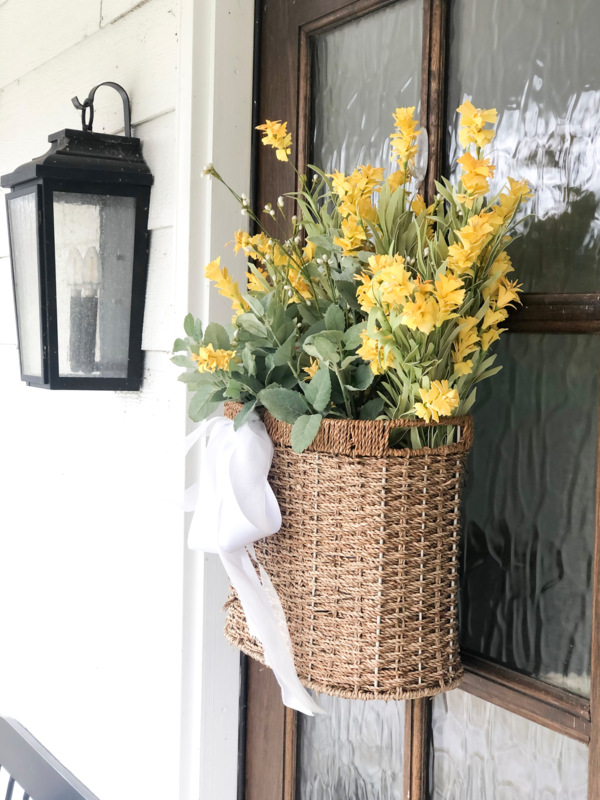 I LOVE yellow flowers in the spring, and I love that these colorful baskets greet me each time I walk through the front doors! 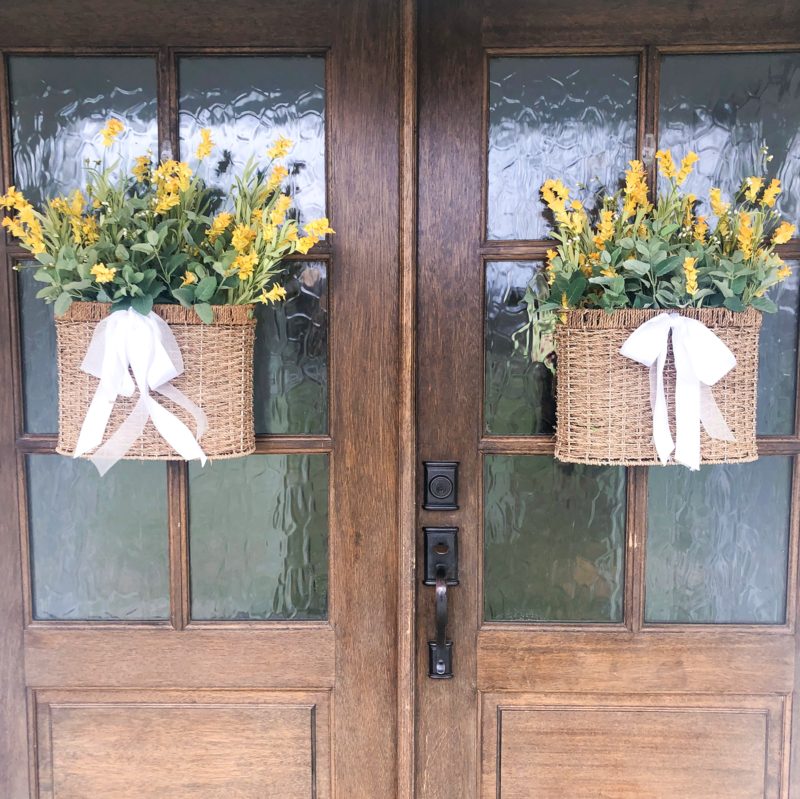 I will probably add some more greenery and plants to the sides of my doors eventually, but these baskets gave me that “touch of spring” that I have been craving! 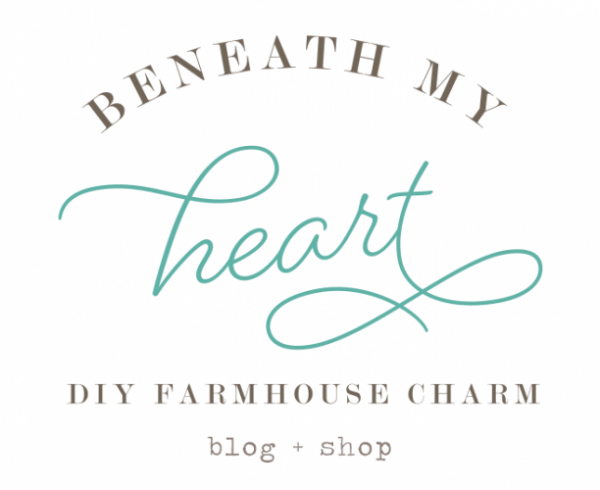 In my next post, I will be sharing some treasures I “picked” on the side of the road yesterday on my way down here. :) Can’t wait to show them to ya! But for now, I am going to head out to some local thrift stores while Jonathan is in a song writing meeting. 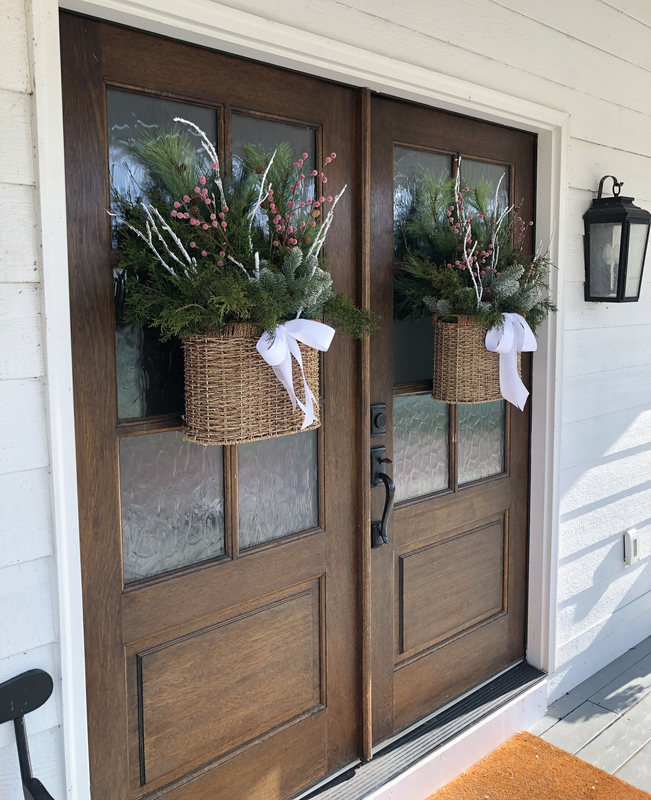 Very pretty spring touch on your doors! 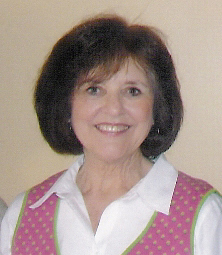 I hope you share your thrift finds…how fun! You are in Franklin and I’m in Murfreesboro! I’ve heard of the Frothy Monkey (the one in the Gulch)! Hope you love TN as much as we do! 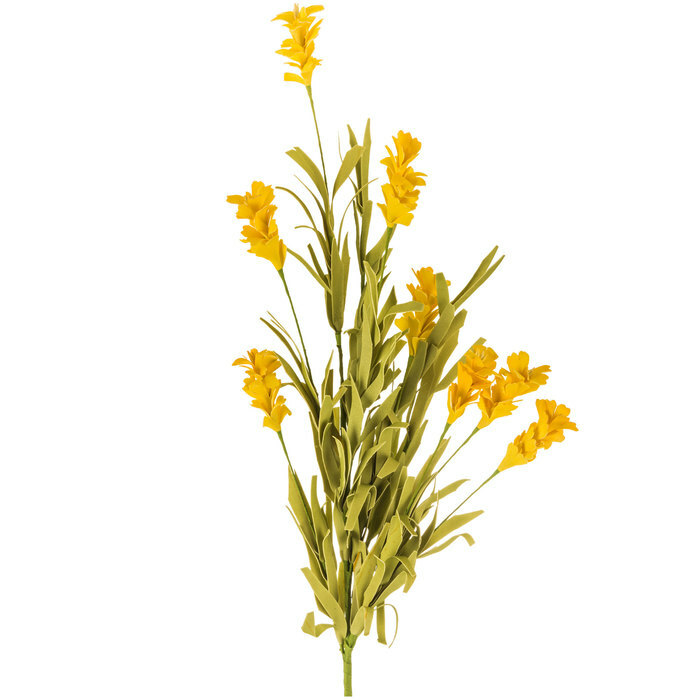 I love the yellow flowers in your spring baskets. When I first looked I thought they were real fresh flowers! So pretty! 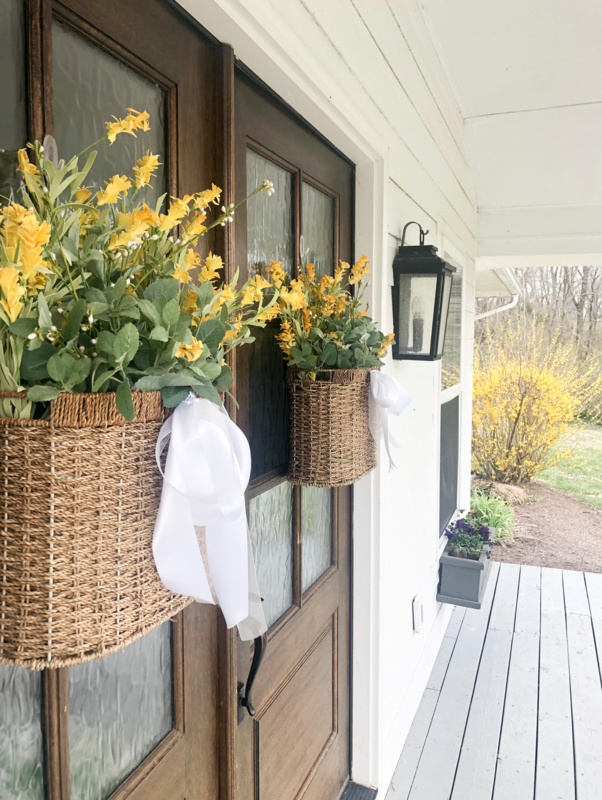 Your baskets look so pretty Traci, and I love how the yellow flowers coordinate with the forsythia at the corner of the house. 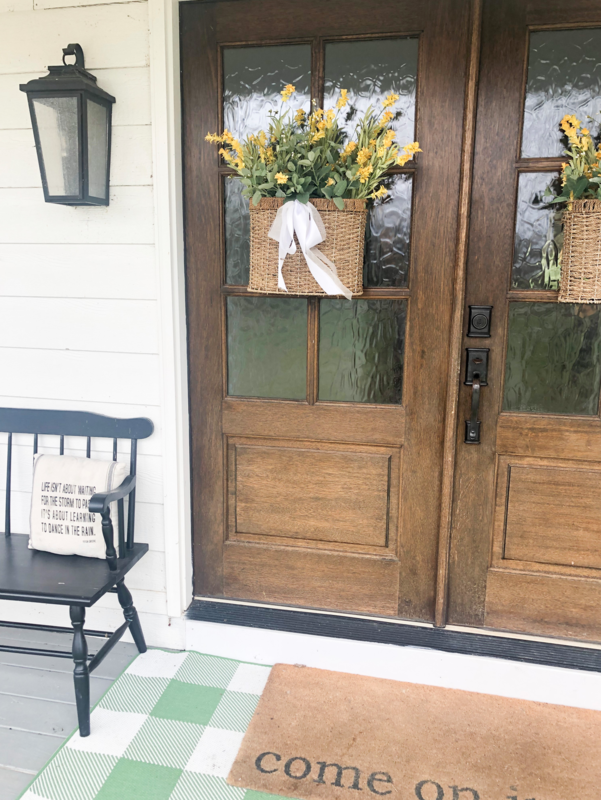 Because I love yellow so much, I painted our front door and the shutters next to the windows on the front porch bright yellow. Bright yellow is also my accent color in the kitchen and I’ve recently added it in our family room since those two rooms are an open contcept. Enjoy your time with Jonathan! Very beautiful and “springy”! I love that you reused your baskets!!! Beautiful! I enjoyed seeing how you’ve kept the baskets up but just change the contents to suite the season. How do you have the baskets attached to the door? Do you have an issue with them swinging a bit as the door is opened and closed and then scuffing the door? I’ve had a grapevine wreath up and it moves a bit with the door and now I have marks on the door and not sure how to prevent that. I’ll be on the hunt for a basket such as yours; I love the how it’s something different and unexpected over the wreath.